Fortifying the digestive system with enzymes and probiotics may promote optimal digestion while maintaining the digestive system's natural balance to support overall health. 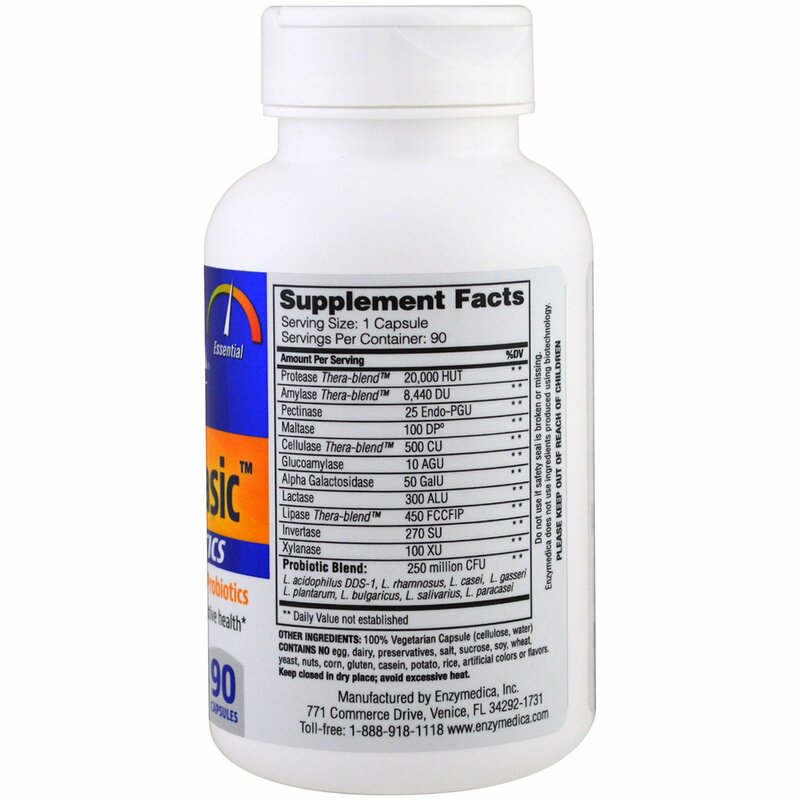 Digest Basic + Probiotics contains a gentle enzyme formula that breaks down carbohydrates, fats, fiber and protein. 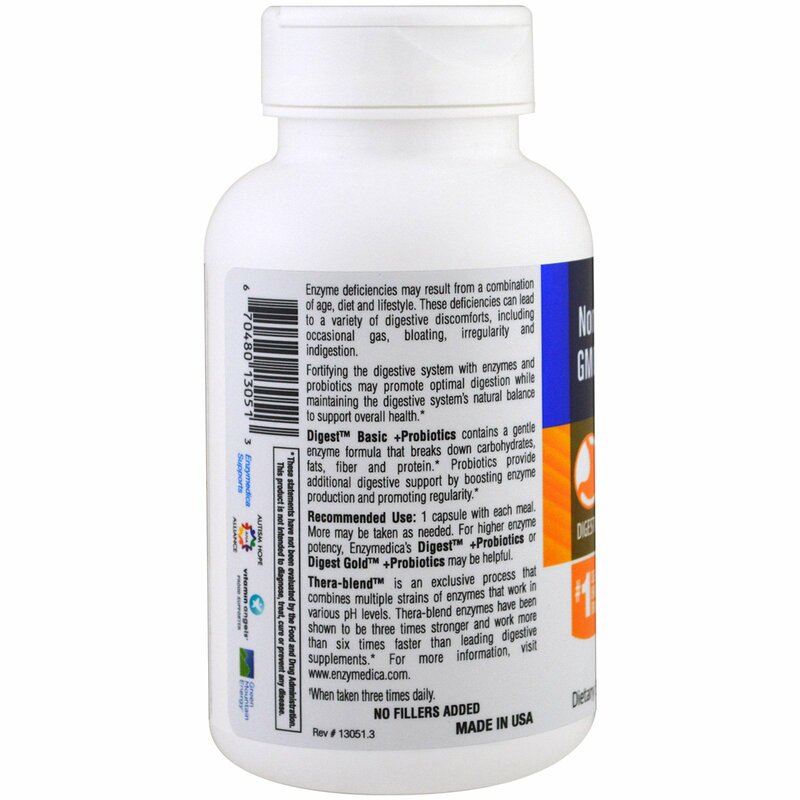 Probiotics provide additional digestive support by boosting enzyme production and promoting regularity. Recommended Use: 1 capsule with each meal. More may be taken as needed. For higher enzyme potency. 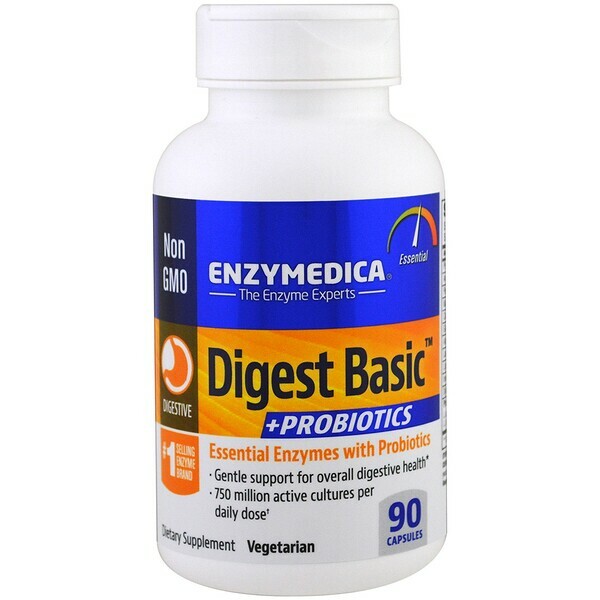 Enzymedica's Digest + Probiotics or Digest Gold + Probiotics may be helpful. Enzymedica does not use ingredients producing using biotechnology. Keep closed in dry place: avoid excessive heat.